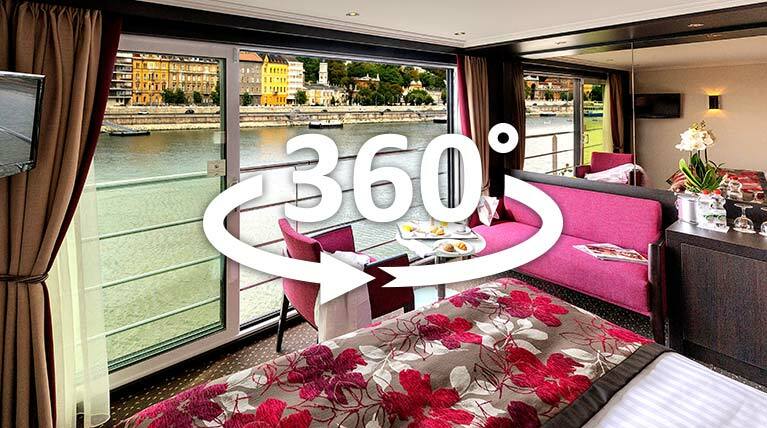 There’s only one point of view on an Avalon Waterways® river cruise – the suite view. Our entire fleet in Europe and Southeast Asia is completely comprised of Suite Ships®, each featuring our Panorama Suites SM, with the widest opening windows in river cruising, the industry’s only Open-Air Balcony SM, and an inviting bed facing the ever-changing scenery. Wall-to-wall and floor-to-ceiling, our panoramic windows blur the line between outside and in, yet clearly present a world waiting to be explored however you please. Even if you’re a seasoned traveler, you’ve never seen, or experienced, a world like this.